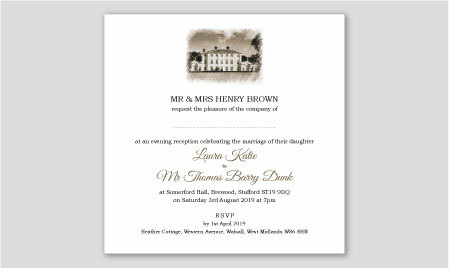 All cards are supplied with co-ordinating heavyweight envelopes except for orders of service and table stationery. It’s simple, all photo cards are priced according to their size and the quantity ordered – the larger the order, the cheaper the unit price. 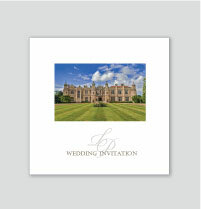 RSVP cards make it easier for guests to reply. 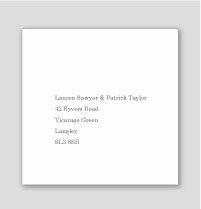 Envelopes are included but if you want your address printing on them, there is an additional charge. 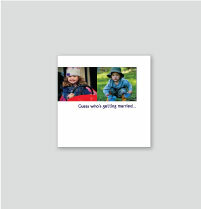 They are also a good idea if you need to know menu options or song requests. 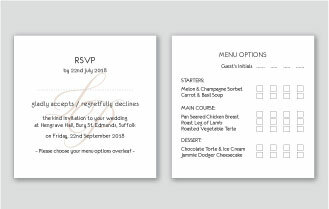 Perfect if you are looking for a cost effective evening invitation to co-ordinate with your day stationery. 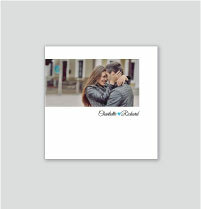 These cards are flat postcard style and therefore do not have a transparent image. 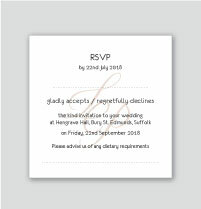 Envelopes are included. there would be an additional 30p charge per card. 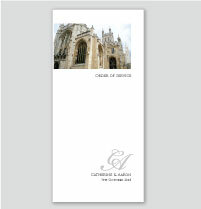 We do offer a standard range but we are always happy to print bespoke items if you need something special – just ask for a quote!